Sometimes a book is so good, it needs to be shared: Fog Valley Winter by Frances Rivetti is exquisitely written and to be savored. This “Farmstead Fireside Companion” is, indeed, a comfort read. Frances has an amazing ability to turn research fact into a delightful work of art. 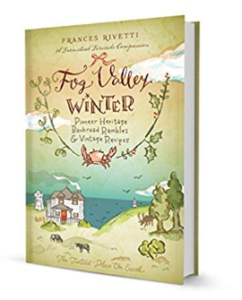 I highly recommend Fog Valley Winter and look forward to reading future books by Frances Rivetti.